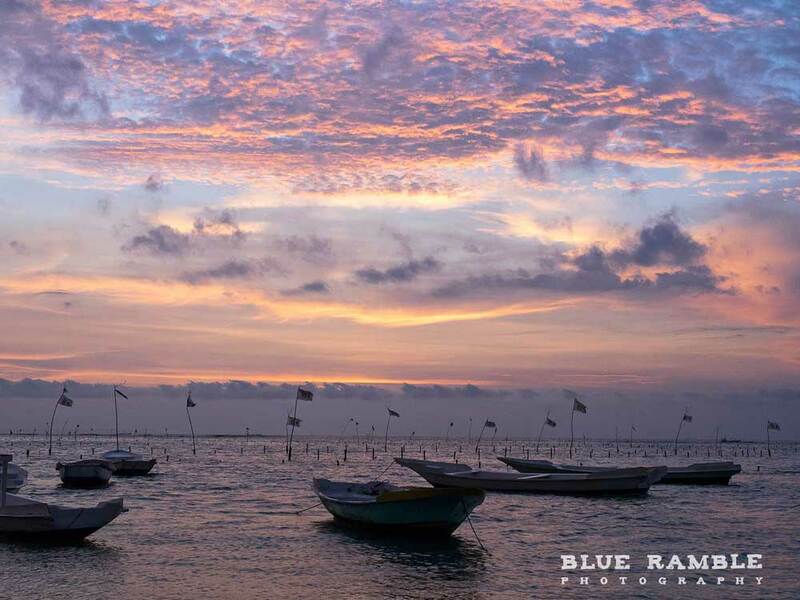 Serenity Yoga Lembongan is located on the paradise tropical island of Nusa Lembongan, just 30 minutes by boat from mainland Bali. Set just meters from the beautiful sandy beach, and close to the healing powers of the ocean, we have created a sanctuary for you to call home during your stay and a wonderful environment to meet like-minded yogi adventurers and travelers. Our gorgeous shala sits amongst a tranquil garden filled with shady trees, coconut palms, tropical flowers and natural beauty, and provides a welcoming space for practice, relaxation, rejuvenation and all things grounding and calming.  We offer a variety of daily drop-in classes for yogis of all levels. We also offer a wide range of classes, workshops and retreats for our ocean lovers – surfers, divers, snorkelers, paddle boarders, free divers, sun worshippers – yogis and yoginis alike that offer an experience rich in knowledge, health, energy and enjoyment. Have you ever wanted to try Yoga but do not know what Yoga is or what is involved? 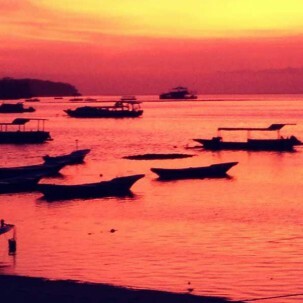 Serenity Yoga Lembongan is the perfect place to try yoga. We will explain what yoga is, who can practise yoga and what to expect from your yoga classes before you begin. 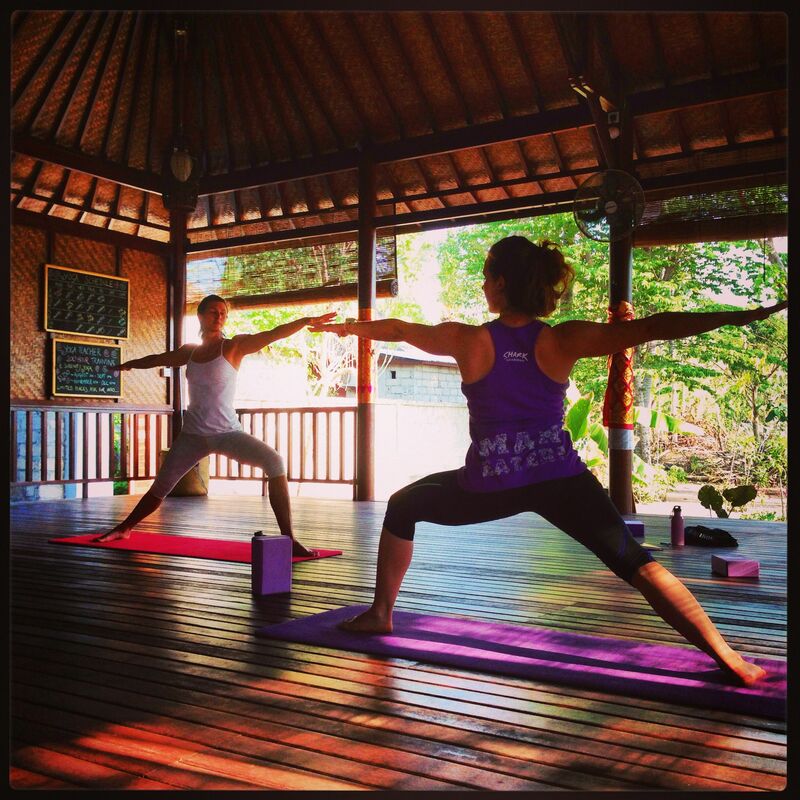 A yoga class at Serenity Yoga Lembongan is an absolute must on your Nusa Lembongan to do list. We offer a variety of daily drop-in yoga classes for all levels of experience. Vinyasa Flow, Power Yoga, Hatha Flow, Fly High Yoga or Yin Yoga. 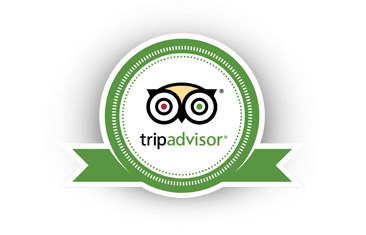 We consistently earn our Certificate of Excellence for 2017 from Trip Advisor. 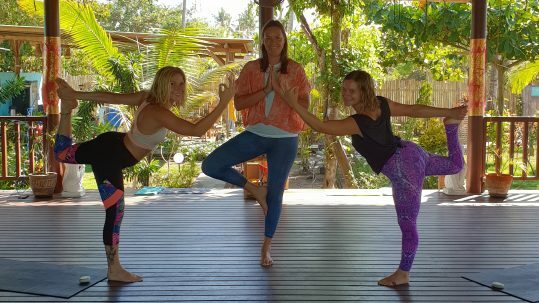 At Serenity Yoga Lembongan we offer a wide range of yoga classes, yoga workshops and yoga retreats for our ocean loving yogis – surfers, divers, snorkellers, paddle boarders, free divers, sun worshippers – that offer an experience rich in knowledge, health, energy and enjoyment. Our Yoga Packages at Serenity Yoga Lembongan are available upon request so you can choose the dates that fit best with your travel plans. You can find us nestled away in the tranquil space behind Puri Kirana Bungalows. The perfect place to stay – just moments from our beautiful yoga shala and a matter of footsteps from the beach. There is always something new happening at our fantastic yoga shala. As well as new additions to our weekly schedule, there is always a yoga retreat or teacher training course in the pipeline. Ready to follow your dreams and become a Yoga Teacher? Join us for our next 200 Hour Yoga Teacher Training program or our new 50 Hour Yin Yoga Teacher Training. Our YTT courses are also open to those simply with a deep interest and passion for yoga and their own practice. 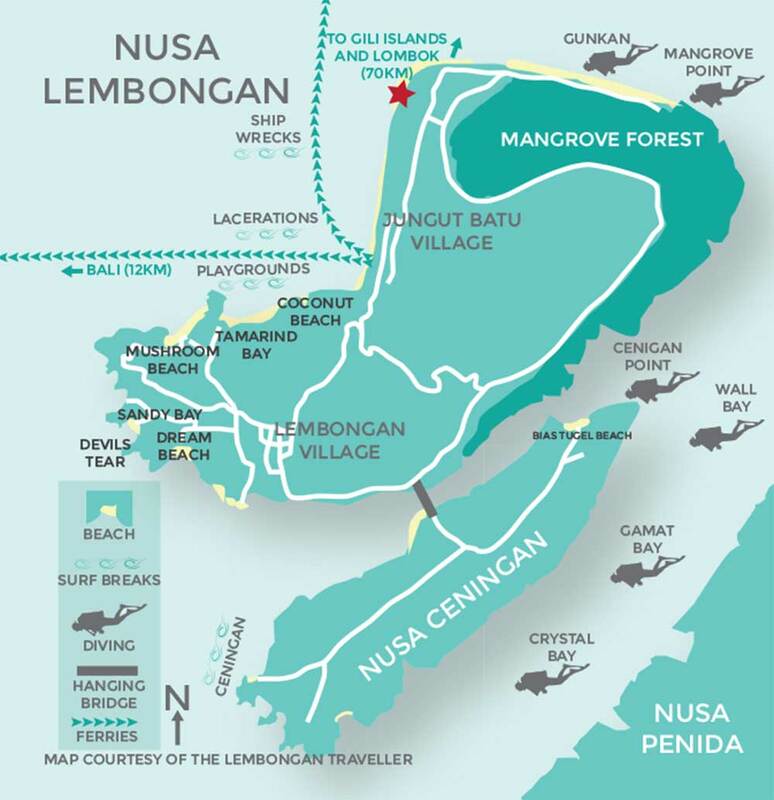 Nusa Lembongan is a beautiful paradise island, just 30 minutes by boat from Bali, Indonesia, with all activities on the island focused in or around the water. You can do as little or as much as you like on our beautiful island, shaping your travel experience to be full of water baby activities such as surfing, snorkeling with manta rays and turtles, scuba diving, paddle boarding, SUP yoga, exploring the mangroves and neighbouring islands or simply lazing on our peaceful beaches and coming to your yoga mat for your daily dose of yoga bliss. My partner and I spent 3 weeks on this beautiful little paradise island. We both agree that a highlight of the trip was our daily yoga practice. The classes were lead by Caroline who is an experienced instructor and can take you through a physical and spiritual practice. She creates a safe space where you feel peaceful and can enjoy the class. Even if you are a beginner like my partner, an avid yogi or a surfer who needs to stretch out, Caroline's sequences and classes cater for all. Such an enjoyable way to start each day of the trip. "Caroline is a fantastic instructor with so much passion! She is always introducing us to new practices which keeps things interesting and fun. She is very knowledgeable and always has different variations at the ready for some of those harder poses. I always look forward to her classes and what she'll bring to the mat next!" 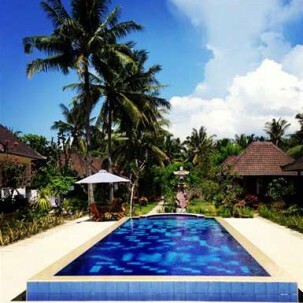 "When I have been to the Nusa Lembongan I had to visit a yoga place. I have found a class run by Caroline and I joined her lesson together with others. 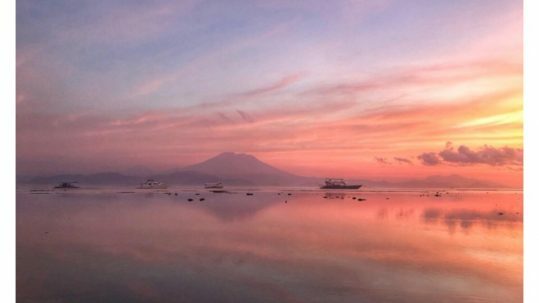 This island is really beautiful and you can relax there. Practising yoga is even much nicer. I can recommend Caroline and her lessons. She is nice and open to the people person. She can help you with your asanas and adapt to your needs. She may give an nice workout or a relaxing yin yoga. I highly recommend her, you will feel safe and encouraged being in her good hands! Read all about the reasons to try yoga, the benefits of yoga, different types of yoga and yoga in combination with your favourite activities. We have so much gratitude right now for all of the wonderful people who have supported us along this yoga journey, helping us to build our dream.